(IMPP Flag) Who are we and why are we here today? We are Mongols from Inner Mongolia and we are members of the Inner Mongolian People's Party (IMPP). Today is the 52nd anniversary of Chinese Communist Government's occupation of Inner Mongolia. We are here protesting the Chinese Government's continuous occupation of Inner Mongolia and demanding the immediate release of all political prisoners in Inner Mongolia. (Geographical Location of Inner Mongolia) Can you tell me more about Inner Mongolia and the Inner Mongolian People's Party (IMPP)? Inner Mongolia, historically part of the Great Mongol Empire, is located south of Mongolia (Outer) and north of the Great Wall of China. The land area of Inner Mongolia is about 0.49 Million Square mile and which is about 6 times the size of France. About 6 million Mongols are living in Inner Mongolia today. In 1947, the Chinese Communists occupied Inner Mongolia by force. Inner Mongolian People's Party (IMPP) is a political party founded by Mongols from Inner Mongolia. The objective of the party is to bring freedom and democracy to Inner Mongolia. To monitor and report human rights violation in Inner Mongolia by the Chinese Authorities are also a major task of the party. ( Mongolian Script) What language do the Mongols in Inner Mongolia speak? The Mongols in Inner Mongolia speak Mongol language. Mongol language belongs to the Altai linguistic family. Turkish language is a close relative of the Mongol Language. Mongol script is unique since it is written from top to bottom vertically. (Portrait of Genghis Khan) Who was the most famous Mongol? Temüjin, or known as Genghis Khan. He founded the Mongol nation in the 13th century and established the largest country (empire) in the human history. His Empire stretched from Korea in the east to Hungary in the west. What is the main religion of the Mongols? Most of the Mongols are Tibetan Buddhists. Tibetan Buddhism was first introduced to the Mongols in 13th century and it began to be widely practiced in Mongolia ever since the Mongols established the title "Dalai Lama" in the 16th century. What happened since the Chinese Communist Government's occupation of Inner Mongolia? Over a Million Killed and Maimed: During the past 52 years, over a Million Mongols have been murdered and maimed as the direct result of Chinese government's genocide campaign against the Mongols. Population Composition Changed: During the past 52 years, over 16 million Chinese have been settled in Inner Mongolia by the Chinese government and the Mongols have become the minority people in their homelands. Religious Practice Prohibited: Over 2400 Buddhist Temples have been destroyed and all but a few hundred monks are allowed to practice their religion. Culture Destroyed: Forced education of Chinese language, culture and discrimination against the Mongol culture has brought the Mongol culture to the brink of extinction. Sterilization and Abortion Enforced: Forced sterilization and abortion have been carried out by the Chinese government to the Mongols. Environment Seriously Damaged: Massive deforestation, mining, slaughtering of wildlife and dumping of nuclear waste and nuclear tests by the Chinese are destroying the delicate ecosystem of Inner Mongolia. Dissident Jailed: Thousands of Mongols have been jailed for being critical to the Chinese policy toward the Mongols in Inner Mongolia. Rights Deprived: Political, economical, social and fundamental human rights of the Mongols have been deprived. Who is the most prominent political prisoner in Inner Mongolia? (Mr. Hada. Photo taken in the reception room of the prison) Mr. Hada was the Chairman of the Southern (Inner) Mongolian Democratic Alliance, an underground organization to protect and promote the endangered Mongol culture and to strive for the rights of the Mongols in Inner Mongolia. 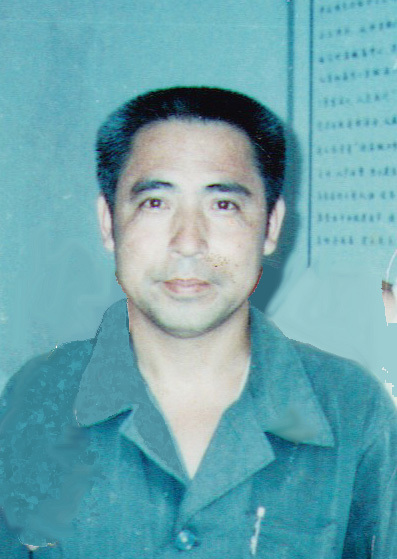 The Chinese authorities arrested Mr. Hada in Dec. 1995 along with dozens of his friends and he was sentenced to 15 years in jail in Dec. 1996. Besides Mr. Hada, there are thousands of Mongols are in jails or labor camps all over the Inner Mongolia because of their political view or belief. There are many ways that you can help us and bring the situation of Inner Mongolia to the attention of the public. Your profession, skill and position can help us. Take part in our activities; we organize several public activities each year in a regular base. Please check out our website (www.InnerMongolia.org) for upcoming events. Thanks you for your attention. www.InnerMongolia.org is the place for more information.